At DIRECT FLOORS our goal is to provide our valued customers of Palm Beach County with High Quality Flooring products, professional installation methods, and exceptional customer service – all at industry leading prices. 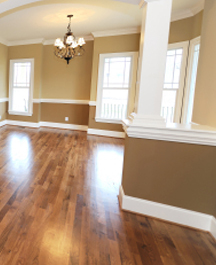 We strive to offer the best value in flooring – anywhere in Palm Beach County!. Because we operate “Directly” we are able to have better quality controls, better customer service, and better prices. We also come directly to you in our mobile showrooms with a huge selection of Hardwood, Laminate, Carpet, Tile & Stone, Vinyl, and even an array of moldings. Just complete our online “Free in Home Estimate” page and submit it. We will call within 1 business day to schedule an in-home appointment. You can also call us at 1-888-411-FLOORS (3566) a representative will be available to help you begin your flooring project. At Direct Floors we greatly appreciate our customers' patronage – let us show you. Our business philosophy, in a nutshell, is straightforward - your complete satisfaction. Great quality floors with superb service and prices have made us a popular choice among everyday homeowners and businesses looking for flooring solutions. Not only do we price match, we serve every customer. No matter how small or big the job, we are here to help.